Water has endless beauty, so I thought it would make a great subject for a new photo-series. 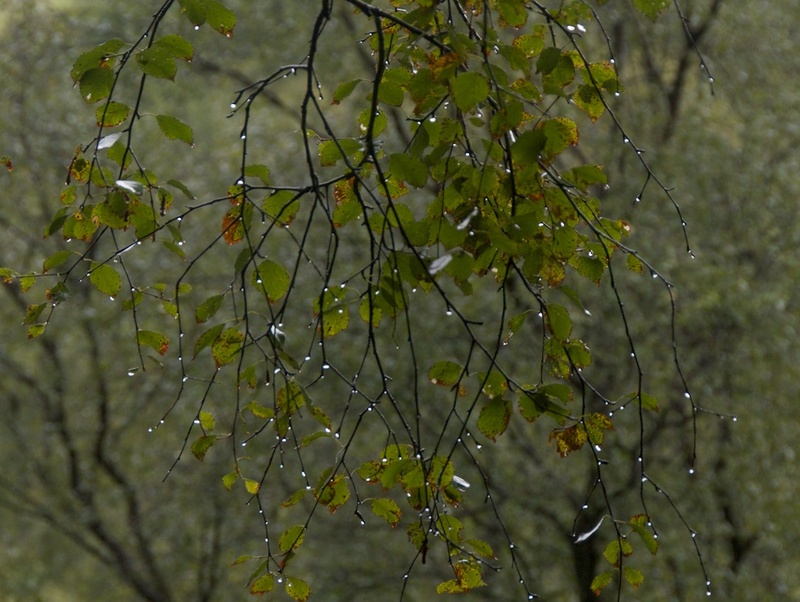 My first choice is this lovely image of dripping birch branches in the woods around Bracklinn Falls near Callander. A photo of the falls themselves is lined up to appear soon – and they were spectacular, thundering down through the gorge after a few days of torrential rain. Read about ‘The magic of the birch‘ on The Hazel Tree, or pop over to Folklore Thursday’s new website to read my guest post on birch, ‘The Lady of the Wood‘. That’s beautiful and what a lovely idea for a series, I look forward to what else you have in store. Thanks, Lynne, but I think we’re good for now! 🙂 Bright and frosty this morning though, a welcome change. Hope it brightens up, Lynne! Thank you! Taken during a downpour. But the falls were amazing!